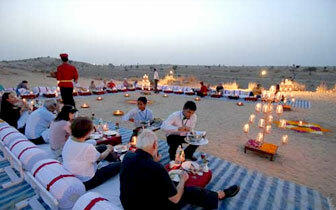 The Indian Splendor, this journey has redefined Rajasthan Luxury Tours. This grandiose odyssey has an extensive itinerary extending up to 8 days and each day a new visit awaits our guests. Explore the detailed beauty of the world’s monumental icon of love, The Taj Mahal, can spot the elusive tiger in the vivid greens of Ranthambore National Park, and can soak the spectacular regal heritage of Rajasthan in its magnificent forts, vibrant bazars, and the royal cuisine. The journey will leave you with everlasting memories of a unique mix of Culture, History and Folklore and will show you a new meaning of India tourism. However, it should be known that this luxury train tariff shall not include any optional tours mentioned in the itinerary, taxes, insurance, gratuities, telephone calls, laundry, non-house pour drinks. 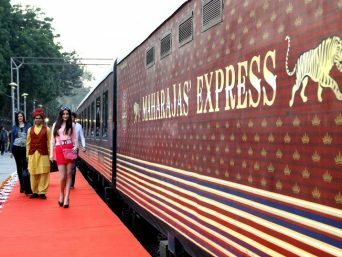 Maharajas’ Express fares aren’t inclusive of arrival and departure transfers, air tickets, pre as well as post tour accommodation and any tour extensions, unless specifically mentioned as part of the journeys. Itineraries, destinations, venues and scheduled departure are subject to change without prior notice. Accommodation in double / twin bedded cabins with en suite bathrooms. All meals, soft beverages, house brands of Indian wines, beer and spirits. Guided off train excursions as illustrated in the journeys inclusive of entrance fees, still camera fee, transport and services of a guide. Video, film and professional still camera fees. Maharajas’ Express Exclusions Arrival and departure transfers. Pre and post tour accommodation and any tour extensions are not included unless specifically mentioned as part of the journeys. The Day 1 begins with a grand welcome at Sadarjung Railway Station, Delhi. Check-in formalities are also carried at Railway station. Guests can treat themselves to a sumptuous dinner on the on-board restaurants- Rang Mahal and Mayur Mahal. These two restaurants are thematically designed to give the ambience of royal eatery and serve dishes from all kinds of global cuisine. Spend your night in the comforts of the palatial train and open your eyes to the alluring city of Agra on the Maharajas' Express. Day 2 begins with arrival in the city of flavors, marvelous architecture and the land of rich history, Agra. Guests begin their Agra luxury tour by visiting the Taj Mahal; an icon of love and epitaph of famous Mughal queen, Mumtaz. 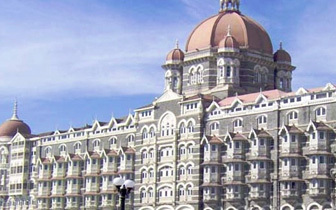 After visiting the Taj Mahal, guests can proceed for Champagne breakfast atop Taj Khema. Post-breakfast guests can either return to comforts of Maharajas' Express or visit the Mausoleum of Itmad-ud-Daula which is popularly described as "jewel box" or visit the ancient Mughal capital, Fatehpur Sikri as an optional activity. Feast on global delicacies with on-board lunch. 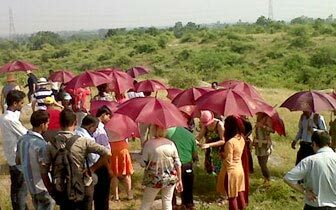 After lunch, guests can continue to explore the Indian heritage with a visit to Agra Fort or they may choose to indulge in luxury with optional activities such as spa at a five star hotel or a private shopping tour. Afterwards guests can either return to the comforts of the Maharajas' Express or may watch " Mohabbat-e-Taj Show" as an optional activity. Enjoy the sumptuous on-board dinner and bid goodbye to Agra and prepare to welcome the state of royal lineage, Rajasthan with Sawai Madhopur. Begin your third day with Maharajas' Express at Sawai Madhopur and proceed for an adventurous game Drive at Ranthambore National Park where you may even find the majestic Tiger crouching in the shimmering greens. Return to the comforts of Maharajas' Express and treat yourself with a regal on board breakfast in a royal ambience. 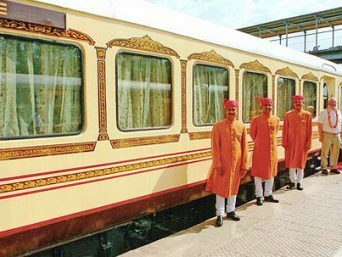 Maharajas' Express, a leading name in Indian tourism, then departs for Jaipur; guests can enjoy a sumptuous lunch On Board. Arrive at the Pink City or Jaipur. Guests can proceed to visit Observatory, world's largest sun dial which is colloquially known as Jantar Mantar or they can also choose the optional activities such as Spa facilities at a 5 Star hotel or an exclusive private shopping tour . 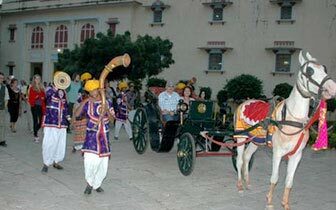 Guests can then proceed to city Palace/Jai Mahal Palace for exclusive Elephant Activities where guests can choose to indulge to paint them, feed them or take the royal ride followed by a lavish dinner. 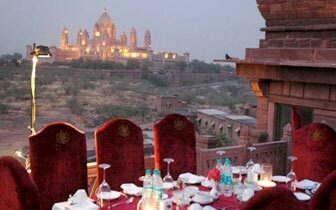 Return to the palatial comforts of Maharajas' Express and wake up to the fascinating lands of Bikaner. 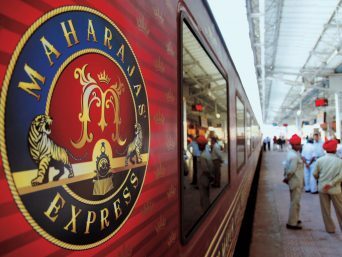 Enjoy an onboard breakfast in Maharajas' Express, an established name in Indian tourism. Besides luxury you also get a taste of Indian essence. The 4th day begins with arrival at Bikaner, the ancient city which was named after the king, Rao Bika in 1488. Once the guests arrive in Bikaner they can choose to relax on-board or may choose from optional activities such as visit to the Lalgarh Museum or Deshnok, the ancient rat temple. After a lavish on-board lunch and then proceed to visit Junagarh Fort. From Junagarh Fort proceed for breathtakingly beautiful sundowners at the Sand Dunes. En-route a tea break awaits our guests at Gajner Palace. Enjoy an evening on sand dunes with cocktails,barbeque and folk dances. Later return to the comforts of the Maharajas' Express. Train leaves for Jodhpur and guests spend overnight on the train. Have an on-board breakfast as you arrive into Jodhpur. Spend the morning leisurely on-board or guests can also choose to go for the optional tour to Bishnoi village (only if time permits) or may choose from Spa facilities at a 5 star hotel An excursion to Umaid Bhawan Palace and Jaswant Thada A private shopping tour Have lunch on board and post lunch proceed to explore the charms of Jodhpur in our exclusive Rajasthan luxury tour, The Indian splendor- Mehrangarh Fort followed by walking tour of the Old Clock Tower Market and then guests enjoy a joy ride on Tuk-tuks. After the sightseeing the guests will be treated to a royal cocktail evening with cultural puppet show at Hanwant Mahal. Then Maharajas' Express leaves for the next stop in our Rajasthan luxury tour, Udaipur; guests spend overnight on the Maharajas' Express. On 6th day as well breakfast is served on-board as you arrive in City of lakes, Udaipur. Then guests proceed for a boat ride on Lake Pichola and afterwards visit the City Palace and Crystal Gallery. Guests have a princely lunch at Satkar Hall of Fateh Prakash Palace. 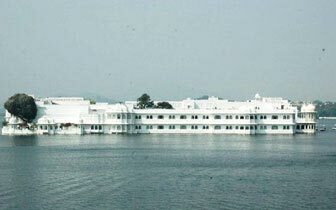 Guests can choose to relax on-board or can go for optional activities such as Spa facilities at 5 star hotels in Udaipur A private shopping tour A Sound and Light show (only if time permits) Have dinner on-board as Maharajas' Express proceeds for the next destination Balasinor, the land of African culture in Gujarat. Have an on-board breakfast and arrive at Sevalia Railway Station. Afterwards proceed for Dinosaur Fossil Park which is followed by village walking tour. Proceed for Garden Palace, Balasinor and be a part of an exclusive lunch hosted by the Royal Family of Balasinor. After the frolic activities return to the comforts of Maharajas' Express At end of the day guests get to enjoy an "Indian Evening" on board Maharajas' Express followed by dinner. 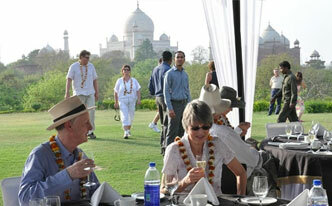 Maharajas' Express has created a niche for itself with this luxury tour of Rajasthan, Agra and Gujarat. Enjoy a breakfast on-board as the train arrives at the home of Bollywood, Mumbai at Lokmanya Tilak Terminus. Bid farewell to the Maharajas' Express, the pallbearers of Indian luxury tourism and gives us another opportunity to serve you again with boundless luxury! Inquire Now for Best Deals.